The main issue was Cuban independence. Revolts had been occurring for some years in Cuba against Spanish rule. The U.S. later backed these revolts upon entering the Spanish–American War. There had been war scares before, as in the Virginius Affair in 1873, but in the late 1890s, American public opinion was agitated by reports of gruesome Spanish atrocities. The business community had just recovered from a deep depression and feared that a war would reverse the gains. It lobbied vigorously against going to war. President William McKinley ignored the exaggerated yellow press and sought a peaceful settlement. 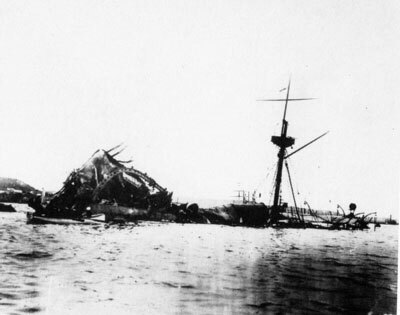 The United States Navy armored cruiser USS Maine mysteriously exploded and sank in Havana Harbor; political pressures from the Democratic Party pushed McKinley into a war that he had wished to avoid. The Virginius Affair was a diplomatic dispute that occurred from October 1873 to February 1875 between the United States, the United Kingdom, and Spain, during the Ten Years' War. 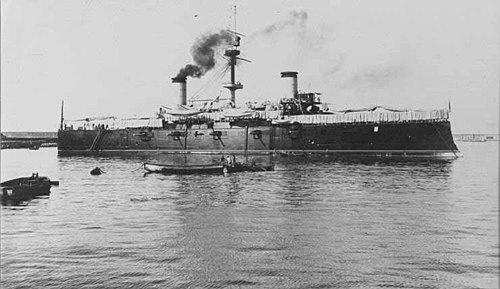 Virginius was a fast American ship hired by Cuban insurrectionists to land men and munitions in Cuba to attack the Spanish regime there. It was captured by the Spanish, who wanted to try the men onboard as pirates and execute them. The Spanish executed 53 of the men but stopped when the British government demanded it. William McKinley was the 25th president of the United States, serving from March 4, 1897, until his assassination six months into his second term. During his presidency, McKinley led the nation to victory in the Spanish–American War, raised protective tariffs to promote American industry and kept the nation on the gold standard in a rejection of free silver. McKinley signed a joint Congressional resolution demanding Spanish withdrawal and authorizing the President to use military force to help Cuba gain independence on April 20, 1898. In response, Spain severed diplomatic relations with the United States on April 21. 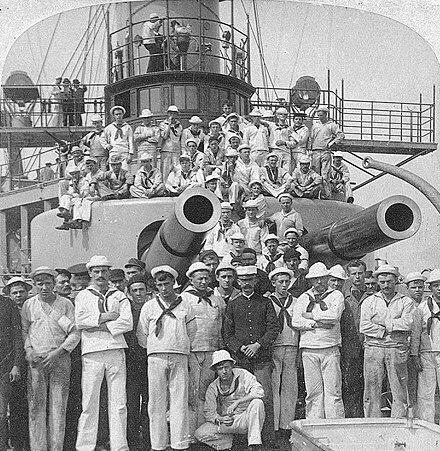 On the same day, the U.S. Navy began a blockade of Cuba. Both sides declared war; neither had allies. 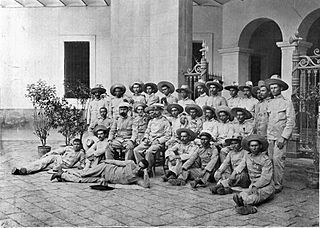 The United States Military Government in Cuba, was a provisional military government in Cuba that was established in the aftermath of the Spanish–American War in 1898 when Spain ceded Cuba to the United States. The Generation of '98 was a group of novelists, poets, essayists, and philosophers active in Spain at the time of the Spanish–American War (1898), committed to cultural and aesthetic renewal, and associated with modernism. The combined problems arising from the Peninsular War (1807–1814), the loss of most of its colonies in the Americas in the early 19th-century Spanish American wars of independence, and three Carlist Wars (1832–1876) marked the low point of Spanish colonialism. Liberal Spanish elites like Antonio Cánovas del Castillo and Emilio Castelar offered new interpretations of the concept of "empire" to dovetail with Spain's emerging nationalism. 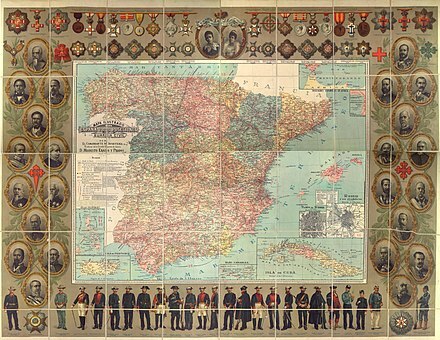 Cánovas made clear in an address to the University of Madrid in 1882   his view of the Spanish nation as based on shared cultural and linguistic elements – on both sides of the Atlantic – that tied Spain's territories together. Cánovas saw Spanish imperialism as markedly different in its methods and purposes of colonization from those of rival empires like the British or French. Spaniards regarded the spreading of civilization and Christianity as Spain's major objective and contribution to the New World. The concept of cultural unity bestowed special significance on Cuba, which had been Spanish for almost four hundred years, and was viewed as an integral part of the Spanish nation. 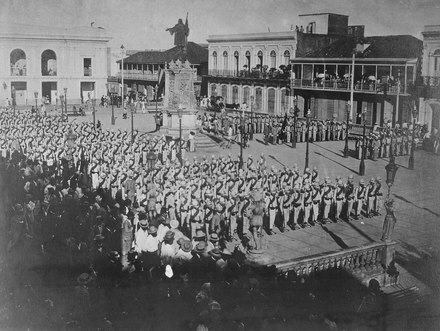 The focus on preserving the empire would have negative consequences for Spain's national pride in the aftermath of the Spanish–American War. After the American Civil War and Cuba's Ten Years' War, U.S. businessmen began monopolizing the devalued sugar markets in Cuba. In 1894, 90% of Cuba's total exports went to the United States, which also provided 40% of Cuba's imports. Cuba's total exports to the U.S. were almost twelve times larger than the export to her mother country, Spain. U.S. business interests indicated that while Spain still held political authority over Cuba, economic authority in Cuba, acting-authority, was shifting to the US. The U.S. had important economic interests that were being harmed by the prolonged conflict and deepening uncertainty about the future of Cuba. Shipping firms that had relied heavily on trade with Cuba now suffered losses as the conflict continued unresolved. These firms pressed Congress and McKinley to seek an end to the revolt. Other American business concerns, specifically those who had invested in Cuban sugar, looked to the Spanish to restore order. Stability, not war, was the goal of both interests. How stability would be achieved would depend largely on the ability of Spain and the U.S. to work out their issues diplomatically. An American cartoon published in Judge , February 6, 1897: Columbia (representing the American people) reaches out to the oppressed Cuba (the caption under the chained child reads "Spain's 16th Century methods") while Uncle Sam (representing the U.S. government) sits blindfolded, refusing to see the atrocities or use his guns to intervene (cartoon by Grant E. Hamilton). A speech delivered by Republican Senator Redfield Proctor of Vermont on March 17, 1898, thoroughly analyzed the situation and greatly strengthened the pro-war cause. Proctor concluded that war was the only answer. : 210 Many in the business and religious communities which had until then opposed war, switched sides, leaving McKinley and Speaker Reed almost alone in their resistance to a war. On April 11, McKinley ended his resistance and asked Congress for authority to send American troops to Cuba to end the civil war there, knowing that Congress would force a war. On August 5, on instructions from Spain, Governor General Basilo Augistin turned over command of the Philippines to his deputy, Fermin Jaudenes. 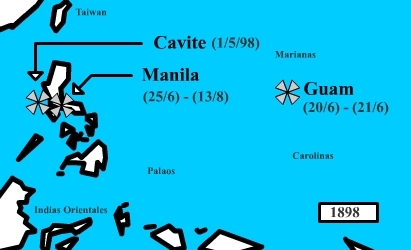 On August 13, with American commanders unaware that a cease-fire had been signed between Spain and the U.S. on the previous day in Washington D.C., American forces captured the city of Manila from the Spanish in the Battle of Manila. This battle marked the end of Filipino–American collaboration, as the American action of preventing Filipino forces from entering the captured city of Manila was deeply resented by the Filipinos. This later led to the Philippine–American War,  which would prove to be more deadly and costly than the Spanish–American War. The U.S. had sent a force of some 11,000 ground troops to the Philippines. On August 14, 1899, Spanish Captain-General Jaudenes formally capitulated and U.S. General Merritt formally accepted the surrender and declared the establishment of a U.S. military government in occupation. That same day, the Schurman Commission recommended that the U.S. retain control of the Philippines, possibly granting independence in the future. On December 10, 1898, the Spanish government ceded the Philippines to the United States in the Treaty of Paris. Armed conflict broke out between U.S. forces and the Filipinos when U.S. troops began to take the place of the Spanish in control of the country after the end of the war, resulting in the Philippine–American War. From June 22 to 24, the Fifth Army Corps under General William R. Shafter landed at Daiquirí and Siboney, east of Santiago, and established an American base of operations. 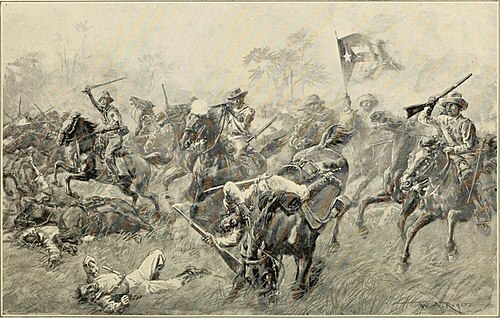 A contingent of Spanish troops, having fought a skirmish with the Americans near Siboney on June 23, had retired to their lightly entrenched positions at Las Guasimas. An advance guard of U.S. forces under former Confederate General Joseph Wheeler ignored Cuban scouting parties and orders to proceed with caution. 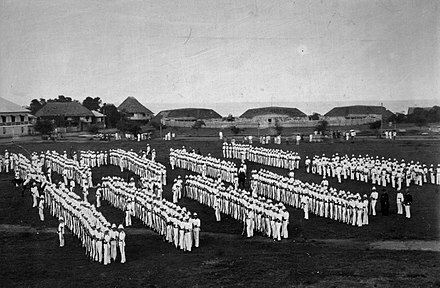 They caught up with and engaged the Spanish rearguard of about 2,000 soldiers led by General Antero Rubín  who effectively ambushed them, in the Battle of Las Guasimas on June 24. The battle ended indecisively in favor of Spain and the Spanish left Las Guasimas on their planned retreat to Santiago. 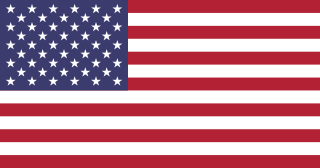 On July 1, a combined force of about 15,000 American troops in regular infantry and cavalry regiments, including all four of the army's "Colored" Buffalo soldier regiments, and volunteer regiments, among them Roosevelt and his "Rough Riders", the 71st New York, the 2nd Massachusetts Infantry, and 1st North Carolina, and rebel Cuban forces attacked 1,270 entrenched Spaniards in dangerous Civil War-style frontal assaults at the Battle of El Caney and Battle of San Juan Hill outside of Santiago. More than 200 U.S. soldiers were killed and close to 1,200 wounded in the fighting, thanks to the high rate of fire the Spanish put down range at the Americans. Supporting fire by Gatling guns was critical to the success of the assault. Cervera decided to escape Santiago two days later. First Lieutenant John J. Pershing, nicknamed "Black Jack", oversaw the 10th Cavalry Unit during the war. 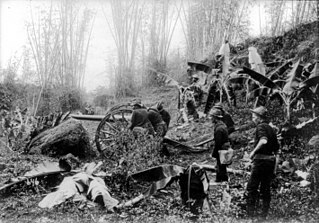 Pershing and his unit fought in the Battle of San Juan Hill. Pershing was cited for his gallantry during the battle. The Spanish forces at Guantánamo were so isolated by Marines and Cuban forces that they did not know that Santiago was under siege, and their forces in the northern part of the province could not break through Cuban lines. This was not true of the Escario relief column from Manzanillo,  which fought its way past determined Cuban resistance but arrived too late to participate in the siege. After the battles of San Juan Hill and El Caney, the American advance halted. 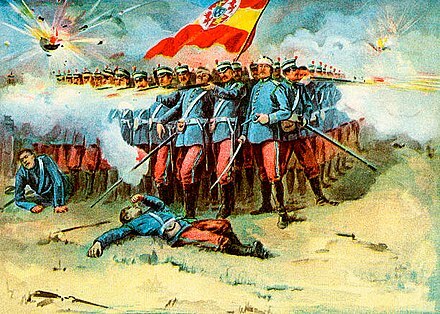 Spanish troops successfully defended Fort Canosa, allowing them to stabilize their line and bar the entry to Santiago. The Americans and Cubans forcibly began a bloody, strangling siege of the city. During the nights, Cuban troops dug successive series of "trenches" (raised parapets), toward the Spanish positions. Once completed, these parapets were occupied by U.S. soldiers and a new set of excavations went forward. American troops, while suffering daily losses from Spanish fire, suffered far more casualties from heat exhaustion and mosquito-borne disease. At the western approaches to the city, Cuban general Calixto Garcia began to encroach on the city, causing much panic and fear of reprisals among the Spanish forces. This encounter was followed by the Battle of Fajardo. The United States seized control of Fajardo on August 1, but were forced to withdraw on August 5 after a group of 200 Puerto Rican-Spanish soldiers led by Pedro del Pino gained control of the city, while most civilian inhabitants fled to a nearby lighthouse. The Americans encountered larger opposition during the Battle of Guayama and as they advanced towards the main island's interior. They engaged in crossfire at Guamaní River Bridge, Coamo and Silva Heights and finally at the Battle of Asomante. The battles were inconclusive as the allied soldiers retreated. Hostilities were halted on August 12, 1898, with the signing in Washington of a Protocol of Peace between the United States and Spain. After over two months of difficult negotiations, the formal peace treaty, the Treaty of Paris, was signed in Paris on December 10, 1898,  and was ratified by the United States Senate on February 6, 1899. The United States gained Spain's colonies of the Philippines, Guam and Puerto Rico in the treaty, and Cuba became a U.S. protectorate. The treaty came into force in Cuba April 11, 1899, with Cubans participating only as observers. Having been occupied since July 17, 1898, and thus under the jurisdiction of the United States Military Government (USMG), Cuba formed its own civil government and gained independence on May 20, 1902, with the announced end of USMG jurisdiction over the island. However, the U.S. imposed various restrictions on the new government, including prohibiting alliances with other countries, and reserved the right to intervene. The U.S. also established a perpetual lease of Guantánamo Bay. Culturally, a new wave called the Generation of '98 originated as a response to this trauma, marking a renaissance in Spanish culture. Economically, the war benefited Spain, because after the war large sums of capital held by Spaniards in Cuba and the United States were returned to the peninsula and invested in Spain. This massive flow of capital (equivalent to 25% of the gross domestic product of one year) helped to develop the large modern firms in Spain in the steel, chemical, financial, mechanical, textile, shipyard, and electrical power industries. However, the political consequences were serious. The defeat in the war began the weakening of the fragile political stability that had been established earlier by the rule of Alfonso XII. The Veterans of Foreign Wars of the United States (VFW) was formed in 1914 from the merger of two veterans organizations which both arose in 1899: the American Veterans of Foreign Service and the National Society of the Army of the Philippines. 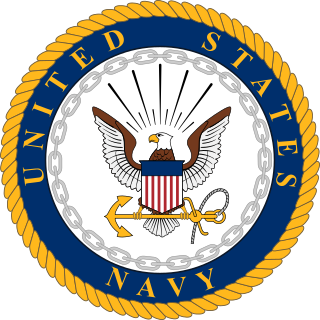 The former was formed for veterans of the Spanish–American War, while the latter was formed for veterans of the Philippine–American War. Both organizations were formed in response to the general neglect veterans returning from the war experienced at the hands of the government. The change in sovereignty of Puerto Rico, like the occupation of Cuba, brought about major changes in both the insular and U.S. economies. Before 1898 the sugar industry in Puerto Rico was in decline for nearly half a century. In the second half of the nineteenth century, technological advances increased the capital requirements to remain competitive in the sugar industry. Agriculture began to shift toward coffee production, which required less capital and land accumulation. However, these trends were reversed with U.S. hegemony. Early U.S. monetary and legal policies made it both harder for local farmers to continue operations and easier for American businesses to accumulate land. This, along with the large capital reserves of American businesses, led to a resurgence in the Puerto Rican nuts and sugar industry in the form of large American owned agro-industrial complexes. 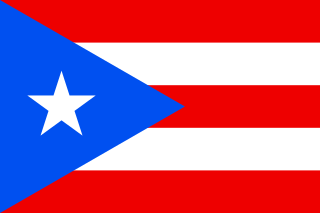 At the same time, the inclusion of Puerto Rico into the U.S. tariff system as a customs area, effectively treating Puerto Rico as a state with respect to internal or external trade, increased the codependence of the insular and mainland economies and benefitted sugar exports with tariff protection. In 1897 the United States purchased 19.6 percent of Puerto Rico's exports while supplying 18.5 percent of its imports. By 1905 these figures jumped to 84 percent and 85 percent, respectively. However, coffee was not protected, as it was not a product of the mainland. At the same time, Cuba and Spain, traditionally the largest importers of Puerto Rican coffee, now subjected Puerto Rico to previously nonexistent import tariffs. These two effects led to a decline in the coffee industry. From 1897 to 1901 coffee went from 65.8 percent of exports to 19.6 percent while sugar went from 21.6 percent to 55 percent. The tariff system also provided a protected market place for Puerto Rican tobacco exports. The tobacco industry went from nearly nonexistent in Puerto Rico to a major part of the country's agricultural sector. 1 2 Unrecognized as participants by the primary belligerents. ↑ Clodfelter 2017, p. 256. ↑ Clodfelter 2017, p. 308. ↑ Clodfelter 2017, pp. 254–255. ↑ "America's Wars: Factsheet." Archived July 20, 2017, at the Wayback Machine US Department of Veteran Affairs. Office of Public Affairs. Washington DC. Published April 2017. ↑ Marsh, Alan. "POWs in American History: A Synoposis" Archived August 6, 2017, at the Wayback Machine . National Park Service. 1998. 1 2 3 4 5 6 Clodfelter 2017, p. 255. 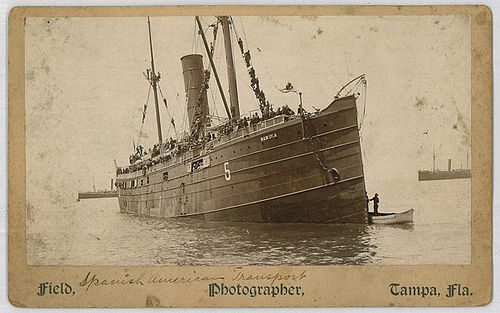 ↑ See: USS Merrimac (1894). 1 2 Keenan 2001, p. 70. ↑ Clodfelter describes the U.S. capturing 30,000 prisoners (plus 100 cannons, 19 machine guns, 25,114 rifles, and various other equipment) in the Oriente province and around Santiago. He also states that the 10,000-strong Puerto Rican garrison capitulated to the U.S. after only minor fighting. ↑ Tucker 2009, p. 105. ↑ Keenan, Jerry (2001). Encyclopedia of the Spanish–American & Philippine–American Wars. ABC-CLIO. p. 70. ISBN 978-1-57607-093-2. Archived from the original on January 4, 2016. Retrieved February 13, 2016. ↑ "Milestones: 1866–1898 - Office of the Historian". history.state.gov. Retrieved 2019-04-04. ↑ W. Joseph Campbell, Yellow journalism: Puncturing the myths, defining the legacies (2001). ↑ David Nasaw (2013). The Chief: The Life of William Randolph Hearst. p. 171. ISBN 978-0547524726. 1 2 Atwood, Paul (2010). War and Empire. New York: Pluto Press. pp. 98–102. ISBN 978 0 7453 2764 8. ↑ Pérez 1998 , p. 89 states: "In the larger view, the Cuban insurrection had already brought the Spanish army to the brink of defeat. During three years of relentless war, the Cubans had destroyed railroad lines, bridges, and roads and paralyzed telegraph communications, making it all but impossible for the Spanish army to move across the island and between provinces. 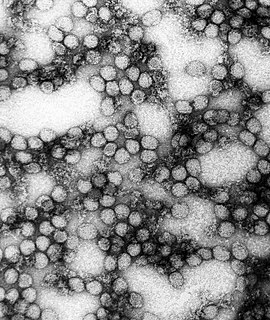 [The] Cubans had, moreover, inflicted countless thousands of casualties on Spanish soldiers and effectively driven Spanish units into beleaguered defensive concentrations in the cities, there to suffer the further debilitating effects of illness and hunger." ↑ "Military Book Reviews". StrategyPage.com. Archived from the original on May 1, 2011. Retrieved March 22, 2014. 1 2 Dyal, Carpenter & Thomas 1996 , pp. 108–109. ↑ Benjamin R. Beede (2013). The War of 1898 and US Interventions, 1898T1934: An Encyclopedia. Taylor & Francis. p. 289. ISBN 9781136746901. Archived from the original on May 15, 2016. Retrieved October 31, 2015. ↑ Poddar, Prem (2008). Historical Companion to Postcolonial Literatures – Continental Europe and its Empires. Edinburgh University Press. p. 601. ISBN 978-0-7486-3027-1. Archived from the original on January 26, 2018. Retrieved December 28, 2017. ↑ Schmidt-Nowara, Christopher (January 1, 2008). The Conquest of History: Spanish Colonialism and National Histories in the Nineteenth Century. Pitt Latin American series. Pittsburgh: University of Pittsburgh Press (published 2008). pp. 34–42. ISBN 9780822971092. Archived from the original on June 27, 2014. Retrieved February 12, 2014. ↑ Trask 1996 , pp. 8–10; Carr 1982 , pp. 379–388. ↑ "William McKinley : First Annual Message". The American Presidency Project. December 6, 1897. Archived from the original on April 30, 2013. Retrieved February 26, 2013. ↑ "Angiolillo Died Bravely", August 22, 1897, The New York Times. ↑ Scott Wright, "The Northwestern Chronicle and the Spanish–American War: American Catholic Attitudes Regarding the 'Splendid Little War,'" American Catholic Studies 116#4 (2005): 55–68. ↑ However, three Catholic newspapers were critical of the war after it began. Benjamin Wetzel, "A Church Divided: Roman Catholicism, Americanization, and the Spanish–American War." Journal of the Gilded Age and Progressive Era 14#3 (2015): 348–366. ↑ Trade with Cuba had dropped by more than two thirds from a high of US$100 million. Offner 2004 , p. 51. ↑ Louis A. Pérez Jr. (2000). The War of 1898: The United States and Cuba in History and Historiography. p. 24. Archived from the original on January 2, 2017. Retrieved February 13, 2016. ↑ Russell, Timothy Dale (2013). African Americans and the Spanish–American War and Philliipine Insurrection. Military Participation, Recognition and Memory 1898–1904 (First. Published dissertation ed.). California, USA: University of California, Riverside. p. 8. Archived from the original on September 3, 2017. Retrieved September 3, 2017. 1 2 Faulkner, Harold (1963). Politics, reform, and expansion, 1890–1900. New York: Harper. p. 231. 1 2 Tone, John (2006). War and Genocide in Cuba, 1895–1898. Chapel Hill: University of North Carolina Press. p. 239. ↑ Pérez, Louis (1998). The war of 1898. Chapel Hill: University of North Carolina Press. p. 58. ↑ Offner 2004 , p. 56. ↑ Thomas, Evan (2010). The War Lovers: Roosevelt, Lodge, Hearst, and the Rush to Empire, 1898. Little, Brown and Co. p. 48. ↑ Keenan, Jerry (2001). Encyclopedia of the Spanish–American & Philippine–American Wars. ABC-CLIO. p. "european+powers" 372. ISBN 978-1-57607-093-2. Archived from the original on January 4, 2016. Retrieved February 13, 2016. ↑ Tucker 2009, p. 614. ↑ Offner 2004 , p. 57. For a minority view that downplays the role of public opinion and asserts that McKinley feared the Cubans would win their insurgency before the US could intervene, see Louis A. Pérez, "The Meaning of the Maine: Causation and the Historiography of the Spanish–American War", The Pacific Historical Review, Vol. 58, No. 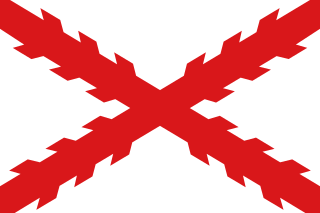 3 (August 1989), pp. 293–322. ↑ Evan Thomas, The war lovers: Roosevelt, Lodge, Hearst, and the rush to empire, 1898 (Little, Brown, 2010) pp 4–5, 209. ↑ Campbell, W. Joseph (August 2000). "Not likely sent: the Remington-Hearst "telegrams"". Journalism and Mass Communication Quarterly. Archived from the original on July 17, 2011. Retrieved September 6, 2008. ↑ Smythe 2003 , p. 192. ↑ Pratt 1934 , pp. 163–201. quotes on page 168. Page 173 states: "an overwhelming preponderance of the local business interests of the country strongly desired peace." ↑ Pratt 1934 , pp. 173–174. ↑ Offner 1992 , pp. 131–35; Michelle Bray Davis and Rollin W. Quimby, "Senator Proctor's Cuban Speech: Speculations on a Cause of the Spanish–American War," Quarterly Journal of Speech 1969 55(2): 131–141. ↑ Paul T. McCartney, "Religion, the Spanish–American War, and the Idea of American Mission", Journal of Church and State 54 (Spring 2012), 257–78. ↑ Thomas, Evan (2016). "Evan Thomas: War Lovers and American Power". Military History, September 2010, 14 World History Collection. ↑ See William McKinley “First Annual Message” December 6, 1897 Archived April 30, 2013, at the Wayback Machine . ↑ Louis A. Perez, Jr., review, in Journal of American History (Dec. 2006), p 889. See more detail in Perez, The War of 1898: The United States and Cuba in History and Historiography (1998) pp 23–56. ↑ Perez (1998) pp 46–47. ↑ Robert Endicott Osgood, Ideals and self-interest in America's foreign relations: The great transformation of the twentieth century (1953) p 43. ↑ Roosevelt, Theodore (1913). "Theodore Roosevelt: An Autobiography". Project Gutenberg. Archived from the original on February 18, 2017. ↑ Penny, Ralph John (2002). A History of the Spanish Language. Cambridge University Press. p. "official+language" 30. ISBN 978-0-521-01184-6. Archived from the original on January 26, 2018. Retrieved December 30, 2017. ↑ Duka, Cecilio D. (2008). Struggle for Freedom' 2008 Ed. Rex Bookstore, Inc. p. 72. ISBN 978-971-23-5045-0. Archived from the original on February 26, 2017. Retrieved December 30, 2017. ↑ Simpson, Andrew (2007). Language and National Identity in Asia. OUP Oxford. p. 363. ISBN 978-0-19-153308-2. Archived from the original on June 26, 2014. Retrieved December 30, 2017. ↑ Patrick McSherry. "The Battle of Manila Bay". spanamwar.com. Archived from the original on February 6, 2018. Retrieved December 31, 2017. ↑ Susan K. Harris (June 1, 2011). 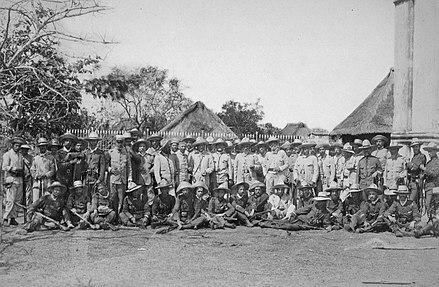 God's Arbiters: Americans and the Philippines, 1898–1902. Oxford University Press, US. p. 133. ISBN 978-0-19-978107-2. Archived from the original on May 12, 2016. Retrieved October 31, 2015. ↑ Wionzek 2000 , p. xvi, citing Hubatsch, Walther, Auslandsflotte und Reichspolitik, Mărwissenschaftliche Rundschau (August 1944), pp. 130–153. ↑ "Philippine History". DLSU-Manila. Archived from the original on August 22, 2006. Retrieved August 21, 2006. ↑ Lacsamana 2006 , p. 126. ↑ Mary Beth Norton; et al. (2014). A People and a Nation, Volume II: Since 1865. Cengage Learning. p. 582. ISBN 9781285974682. Archived from the original on May 27, 2016. Retrieved October 31, 2015. 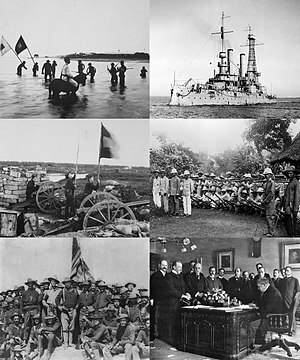 ↑ The Spanish–American War in Cuba : Battle of Las Guasimas Archived May 10, 2011, at the Wayback Machine . ↑ The Battles at El Caney and San Juan Hills Archived July 14, 2013, at the Wayback Machine at HomeOfHeroes.com. ↑ The Crowded Hour: The Charge at El Caney & San Juan Hills Archived May 14, 2013, at the Wayback Machine at HomeOfHeroes.com. ↑ History of the Gatling Gun Detachment Archived February 13, 2006, at the Wayback Machine , John Henry Parker at Project Gutenberg. ↑ Escario's Column Archived February 16, 2006, at the Wayback Machine , Francisco Jose Diaz Diaz. ↑ Schubert, Frank N. (1997). Black Valor: Buffalo Soldiers and the Medal of Honor, 1870–1898. Scholarly Resources Inc. pp. 135–139. ISBN 9780842025867. 1 2 Vincent J. Cirillo. 2004. Bullets and Bacilli: The Spanish–American War and Military Medicine. (Rutgers University Press). ↑ Wolff 1961 , p. 175, "When the British consul died, intermediation was taken over by the Belgian consul, M. Edouard Andre; and, as US troops poured in, everything began to fall into place. Jaudenes promised that he would not use his artillery if the ..."
↑ Cooling 2007 , p. 99, "Fearful of what the Filipinos might do, the American and Spanish authorities anxiously negotiated a way out of the thorny issue of Manila City. Aided by Belgian consul Edouard Andre, Dewey, Merritt, and Augustin"
↑ DyalCarpenter & Thomas 1996 , p. 175, "After Rawson-Walker's sickness and death, Belgian consul Edouard André carried on the diplomatic exchanges between Dewey, General Wesley Merritt,* and Jaudenes. Through these diplomatic exchanges, early in August Jaudenes began to ..."
1 2 "Treaty of Paris, 1898". Archived from the original on May 23, 2015. Retrieved December 31, 2009. ↑ Montoya 2011 , p. 78. ↑ Dupuy, Johnson & Bongard 1992 , p. 794. ↑ Pérez 2008 , p. 11. ↑ Gatewood 1975 , pp. 23–29; there were some opponents, ibid. p. 30–32. ↑ "VFW at a Glance" (PDF). VFW. September 2, 2004. Archived from the original (PDF) on November 2, 2006. Retrieved November 4, 2006. ↑ Reardon, Marguerite (June 30, 2005). "Senators want to nix 1898 telecom tax". CNET Networks . Retrieved February 15, 2008. ↑ Reardon, Marguerite (August 1, 2006). "Telecom tax imposed in 1898 finally ends". CNET Networks. Retrieved February 15, 2008. ↑ Bergad 1978 , pp. 74–75. ↑ Bergad 1978 , p. 76. ↑ Bergad 1978 , p. 74. ↑ The Spanish American War in Motion Picture Archived February 19, 2010, at the Wayback Machine , US Library of Congress. The history of the Philippines is believed to have begun with the arrival of the first humans using rafts or boats at least 67,000 years ago as the 2007 discovery of Callao Man suggested. Negrito groups first inhabited the isles. Groups of Austronesians later migrated to the islands. 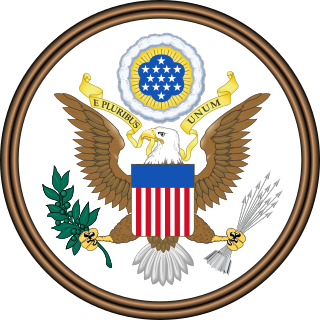 TheTeller Amendment was an amendment to a joint resolution of the United States Congress, enacted on April 20, 1898, in reply to President William McKinley's War Message. 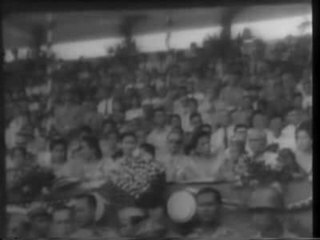 It placed a condition on the United States military's presence in Cuba. According to the clause, the U.S. could not annex Cuba but only leave "control of the island to its people." In short, the U.S. would help Cuba gain independence and then withdraw all its troops from the country. The Governor-General of the Philippines was the title of the government executive during the colonial period of the Philippines, governed mainly by Spain (1565–1898) and the United States (1898–1946), and briefly by Great Britain (1762–1764) and Japan (1942–1945). They were also the representative of the executive of the ruling power. 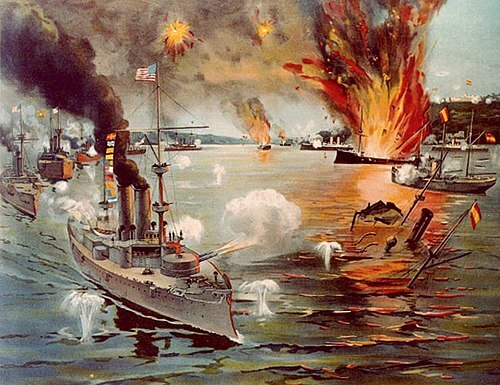 The timeline of events of the Spanish–American War covers major events leading up to, during, and concluding the Spanish–American War, a ten-week conflict in 1898 between Spain and the United States of America. The Intentona de Yauco of March 1897 was the second and final major revolt against Spanish colonial rule in Puerto Rico, staged by the island's pro-independence movement in the second half of the nineteenth century. Camilo García de Polavieja y del Castillo-Negrete, 1st Marquis of Polavieja (1838–1914) was a Spanish general born in Madrid on July 13, 1838, in a family of merchants. He was an able commander, but considered as brutal as Valeriano Weyler of Cuba. The 2nd Oregon Volunteer Infantry Regiment was a military regiment recruited in the U.S. state of Oregon during the Spanish–American War. As the first foreign war in U.S. history, it was the first time members of the Oregon National Guard had fought on foreign soil. The regiment also served with distinction in the Philippine–American War. At full strength, it was composed of 50 officers and 970 enlisted men. The regiment's last company was mustered out of service in August 1899.